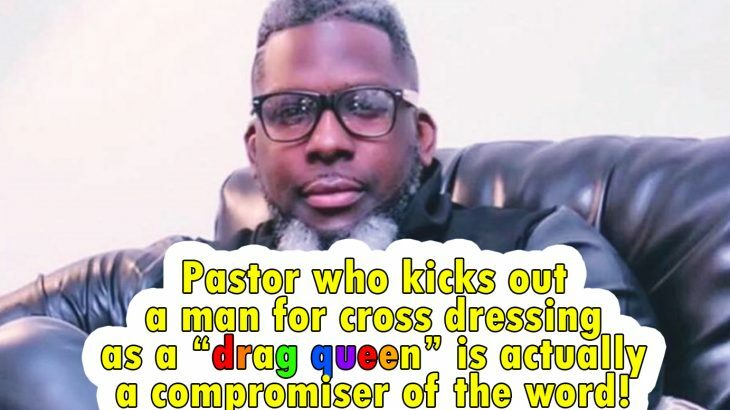 Pastor of a church kicks out a man who showed up to church dressed in drag. However, this pastor is a compromiser of the Word! After the pastor kicked out the man for cross dressing in his church he then turns around and says that the man is welcome back as long as he doesn’t cross dress. That is to knowingly allow a Sodomite in the house of God! In the end, that pastor is just a pussyfooter. If the elders didn’t throw out that cross dresser right on the spot, then he should have done it himself! Now THIS is how you kick a Sodomite out of church! And this is the bold stance of a BIBLE believing pastor! cross dresser, drag queen, dyke, fag, Gay, homo, lesbian, pastor kicks out, queer, sodomite. permalink.